I grew up watching Old Hollywood movies and the thing I loved most about watching them were the costumes. Women would take such care of getting dressed back then, even for running errands! And they would take their time getting ready in these lavish dressing rooms filled with beautiful clothes. Times have changed and I may be speaking for myself but I just don't spend that much time dressing myself. I'm happy if I can think up of an outfit the night before, which rarely happens. 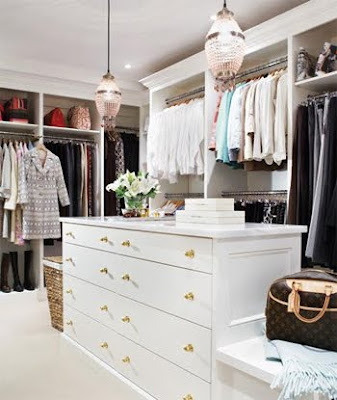 My good friend, Lindsey, just got the Elfa system installed in her closet and it got me thinking how wonderful it would be to have our closet organized in some way. 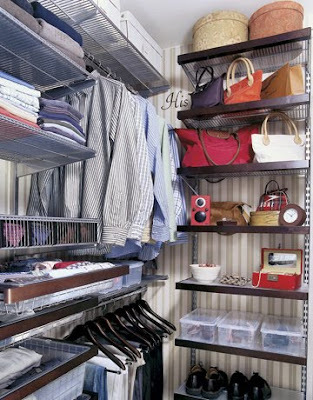 Well, I guess I can't really speak for my husband on this matter since his side of the closet is actually neat. But one look at my side and you'll ask "how do you even know where to find things?" If we had some kind of closet system installed I'm sure I would enjoy dressing myself much more than I do right now. Cause right now, I do NOT enjoy getting dressed. I can't find anything, my shoes are hidden, and don't even get me started on my handbags. True story, a few weeks ago, I was just digging through my side of the closet and discovered a handbag that I had completely forgotten that I had owned! Me forgetting that I owned a handbag?! That's how bad my side is. I have a closet right now and the goal is to have a dressing room. I have a long way to go if I want mine to resemble any of the ones below, but I'm definitely going to try if it means enjoying an aspect of life that I don't just yet. My Ultimate Dressing Room. This looks like a boutique and that's exactly what I would want my dressing room to look like. A bit more extravagant than I would go for but I really love the old-world feel this gives off. If Victoria's Secret designed a dressing room, this is what it would look like. 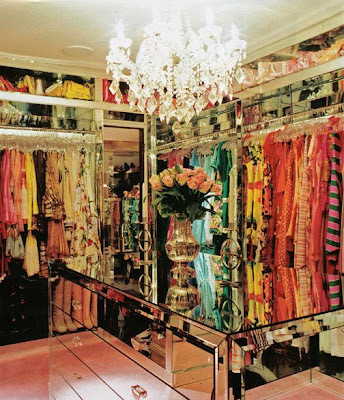 This is exactly what I would picture JCrew's Creative Director, Jenna Lyons, dressing room to look like. Casual but filled with chic pieces. 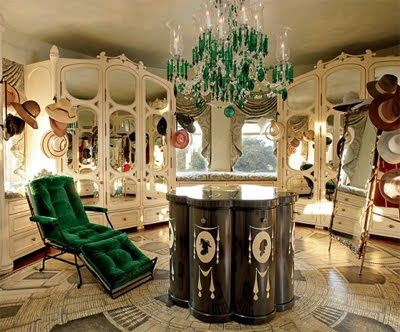 Paris Hilton's dressing room looks like a boutique! Can you imagine having a dressing room like this as a teenager? 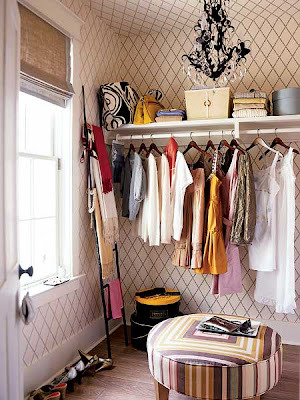 I love the use of wallpaper in a closet. It really spices the space up. I want to see all of my shoes on one wall like this!